Dell OptiPlex 3020 PSU Main Power 24-Pin to 8-Pin Adapter Cable (30cm), built with top quality UL1007 18AWG wires. Suitable for Dell OptiPlex 3020 and related models. "Easy to use & great deal on shipping"
"Easy website to navigate, very good prices, quick replies to my emails." Very good selection, easy to purchase. "Very good selection, easy to purchase." "This wire is exactly what I need with my Optiplex 3020. I had upgraded a video card and need to put my 3020 into a new case. Dell being Dell, made their power cables their way so the standard PSU can't connect to their motherboard. So I had to purchase this. When I got it, I plugged it in and it works fine! Just like what everyone else said. Saves you a lot of trouble. " "I was frustrated to find that Dell's PSU connector wasn't 20 or 24 pin, but bought this and hoped. Works just fine. Now I can Run a PSU that will drive a high-end graphics card. Free shipping took about a week. "I tentatively bought this cable for a Dell T20 in hopes that it would work. I can say that it works just fine. Shipping was much faster than I anticipated. All the way from Hong Kong to Tennessee took only too 4 days." 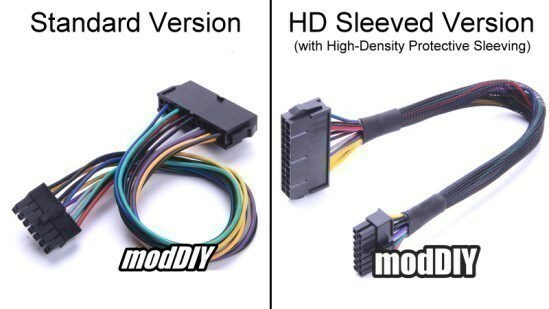 "God bless you, modDIY. I was extremely frustrated when I discovered that my new Dell would not work with my 500W PSU because it did not have a 24-bit connector. 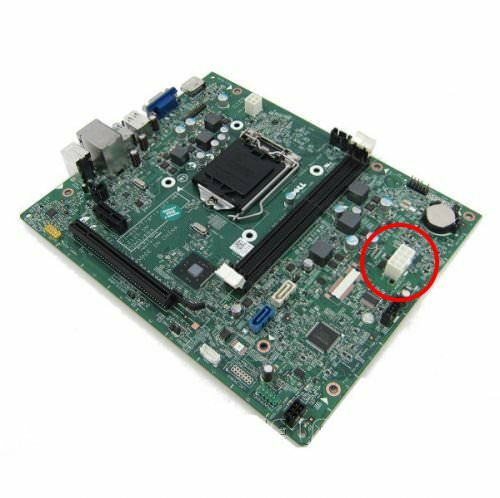 After becoming more and more frustrated that no one made a PSU with the right connector and that Dell didn't seem to care that its customers wouldn't be able to upgrade their PSUs, I Googled to see if anyone had made an adapter. And that brought me here, and I was overwhelmed with joy. I just installed the adapter yesterday and it seems to work perfectly. I've got my 500W PSU, I've got my nice Nvidia card, and I'm back to using dual monitors again. Thank you!" Power cable connecting Optiplex 3020 Macro to the main? 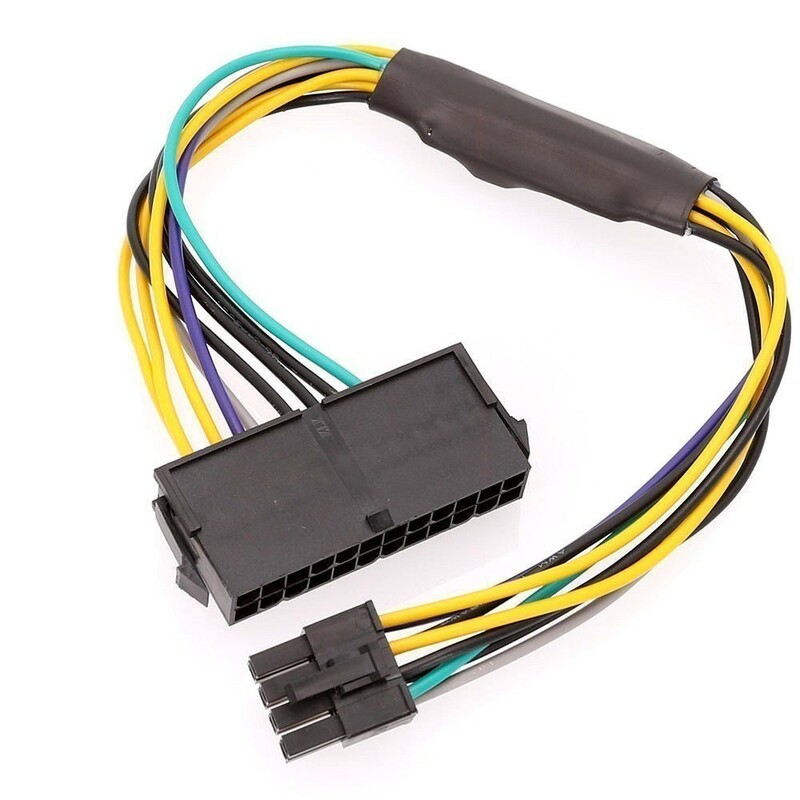 Click the button below to add the Dell OptiPlex 3020 PSU Main Power 24 Pin to 8 Pin Adapter Cable 30cm to your wish list.